Everyone loves this tubby little cubby, he has been bringing smiles to children for generations. 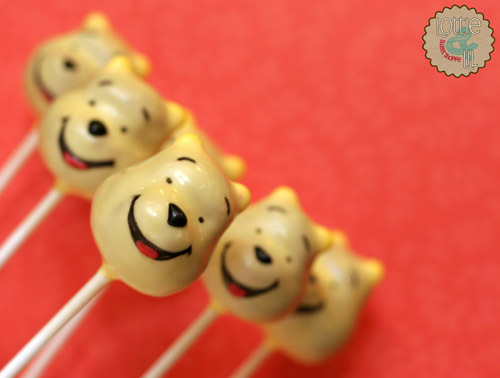 Who couldn’t smile when they see these little Winnie the Pooh cake pops? Adorable and tasty!! 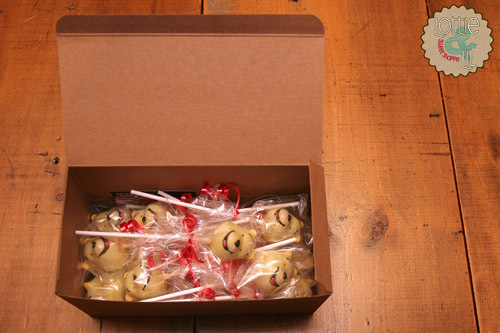 This entry was posted on Monday, April 1st, 2013 at 9:29 am	and is filed under Special Event Pops.